22 January 2018 – Today, the United Nations (UN) Human Rights Council conducted the third Universal Periodic Review (UPR) cycle of the United Arab Emirates (UAE). Dozens of states issued recommendations to the Emirati Government, urging human rights reforms on a variety of thematic issue areas ranging from free expression and capital punishment to migrant labor rights and human trafficking. 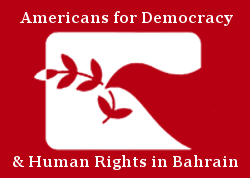 Americans for Democracy & Human Rights in Bahrain (ADHRB) welcomes all productive recommendations addressing critical human rights issues and calls on the Government of the UAE to unreservedly accept the recommendations and to actively work toward their implementation. Through the UPR process, all UN member states undergo a cyclical review of their human rights records in which other states offer recommendations to the government under review. This is the UAE’s third UPR cycle, with its last review conducted in January 2013. During its second review, the UAE received 180 recommendations from 86 states, of which the government accepted 107. However, in the five years since its second-cycle review, the UAE has failed to fully implement many of the core recommendations. ADHRB’s evaluation – submitted to the UN for consideration ahead of today’s review – found that the Emirati government failed to implement the vast majority of recommendations concerning international treaties and human rights mechanisms; the rights to free expression, association, and assembly; and criminal justice reforms. On the contrary, it continues to impose severe restrictions on political activity, human rights work, and independent civil society space. Moreover, UAE authorities regularly subject those that violate these restrictions to torture, enforced disappearance, arbitrary detention, and unfair trial procedures – contravening other second-cycle UPR recommendations pertaining to treaty compliance and just policing practices. Now, during the UAE’s third UPR cycle, nearly 100 states together offered dozens of new recommendations, many of which reiterated or expanded on previous, un-implemented reform proposals. Among other issues, states called on the Government of the UAE to decriminalize freedom of expression and opinion; end the judicial harassment of human rights defenders and other civil society actors; end the use of torture and capital punishment; ensure the rights of women and children; protect the rights of workers; combat human trafficking; ratify core international treaties like the International Covenant on Civil and Political Rights (ICCPR); create a national human rights institution in accordance with the Paris Principles; and issue standing invitations to the UN Special Procedures. Several states, like the United Kingdom, preceded the session with Advanced Questions, urging the Emirati government to provide detailed information on the use of capital punishment; measures taken to protect due process and fair trial rights; programs to end human trafficking; and actions to promote free expression. Belgium and Sweden specifically requested that the UAE answer for its continued targeting of human rights defenders, asking “how will the Government ensure that [human rights defenders] can exercise their legitimate work in a secure environment, free from intimidation or harassment?” and “what measures it is taking to ensure that individuals can defend and promote human rights without risking harassment, intimidation, reprisals, threats, arrest or detention?” respectively. Other Advanced Questions requested details about measures to combat human trafficking, protect the rights of workers, and eliminate gender-based discrimination. During the session, a variety of states then issued formal recommendations emphasizing similar issue areas. Countries like Austria, Canada, Estonia, Germany, Italy, Mexico, the Netherlands, Norway, Slovenia, Sweden, Switzerland, and the United States (US) formally urged the UAE to lift restrictions on free expression, particularly through reforms of the counter-terror and cybercrime laws. Australia, the Czech Republic, Ghana, Hungary, and the US similarly recommended that the UAE guarantee fair trial rights for all detainees, and many of these countries were joined by Belgium, Estonia, France, Germany, Italy, and Latvia – among others – in calling for an end to reprisals against human rights defenders. Chile specifically proposed that the UAE create a central registry of all detainees to help prevent enforced disappearance and allow families to determine the status of their loved ones. A large proportion of recommending states additionally called on the Emirati government to limit or abolish the use of capital punishment, and to extend its cooperation with the UN by ratifying treaties like the ICCPR and issuing standing invitations to all UN Special Procedures. The UAE was also urged to combat gender-based discrimination and human trafficking, and to take further measures to protect the rights of workers, including migrants. While a number of states did not offer incisive and critical recommendations, ADHRB welcomes the participation of those states that sought to use their recommendations to highlight significant and persistent human rights violations. We call on the Emirati government to implement such recommendations with a view toward instituting reforms that will guarantee all fundamental human rights.